Comms Connect Auckland 2019 will be held at the SKYCITY Auckland on 1-2 May 2019. Phone: 0800 SKYCITY (08007592489) – this is toll free within NZ. The Airbus departs every 15 minutes to the city, and costs about NZ$16 each way. If you are traveling by taxi, they are located outside the domestic and international terminals and cost approximately NZ$70 into the city. 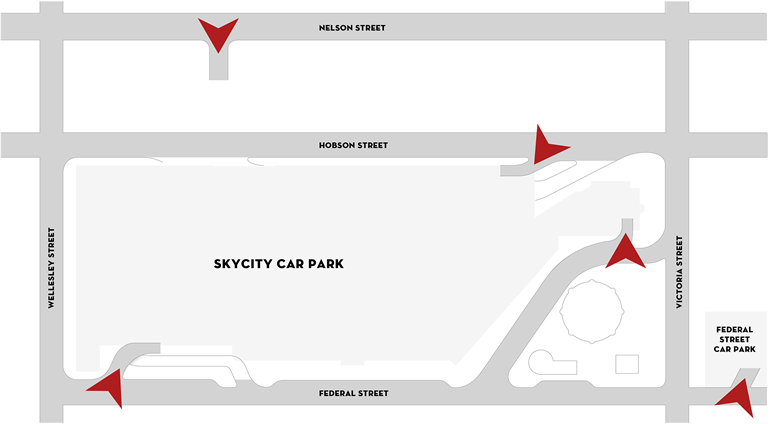 If you are traveling by car, take the Southern Motorway north, exit at Nelson Street and follow the signs direct to SKYCITY. SkyCity Auckland are a quick 10 minute walk from Britomart – Auckland’s central bus and train station, and the Intercity Bus terminal is right on our doorstep. Auckland’s biggest with 1,960 parks accessible from three entries.